Home › Advice › How far must you be able to see ahead when driving? Your eyesight varies at certain times. The most obvious of these are when you wear sunglasses because it reduces the amount of light entering your eye. Squinting against the sun is another example. You must be able to read a car number plate made after 1 September 2001 from 20 metres (65.6 feet). If you have prescribed glasses or contact lenses, you can wear them, but this means you also must wear them at all times when driving. Your visual acuity must be at least 0.5 on the Snellen scale (6/12) with glasses or contact lenses if prescribed. You must also have an adequate field of vision. Your best eye must have at least a visual acuity of 0.8 on the Snellen scale (6/7.5) and your other eye must have at least 0.1 (6/60). Your horizontal field of vision must be at least 160 degrees (at least 70 left and right), with 30 degrees up and down. Braking distance is thinking distance (or reaction distance) plus stopping distance. The distance travelled depends on the speed you’re going and how long it takes for each phase. It typically takes between 1.5-2 seconds to react to a situation, but the UK standard is 3 seconds for driver reaction time. If you are travelling slowly, say 10mph, you will stop in under a second. At 40mph you will take between 1.5-2 seconds in a car with ABS (depending on the type of car, how heavy it is, what you have in it and the surface of the road). At 60mph you will take at least 2.5 seconds to stop and more like 3-4 seconds. At 70mph you’ll take around 4-5 seconds to stop. On wet roads or snowy roads this will be longer. 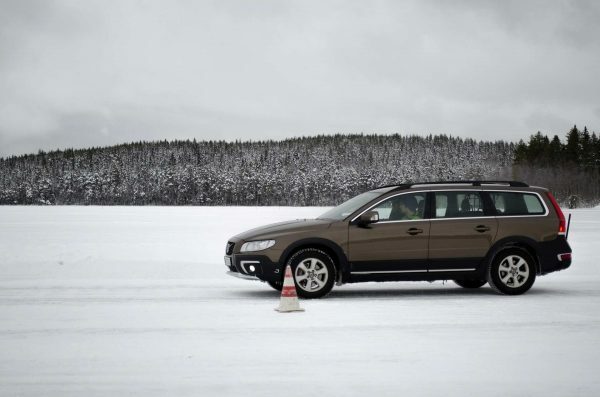 In a braking test on snow, the car is always going to take much longer to stop. When you’re travelling on a snowy road, do you have enough time to stop? In the Highway code theory test, you’re supposed to remember the distance it takes to stop from certain speeds. Distance is very difficult to judge. It’s much easier to judge time. If you know your reaction time will be at least three seconds, if you can’t see three seconds ahead you could hit something before you even have time to hit the brakes. Add on the braking time and you’ll see that you need to have at least 8 seconds of road that you can see ahead of you if you are travelling at 70mph. You can count seconds by saying one-thousand-and-one, two-thousand-and-two, three-thousand-and-three, etc. 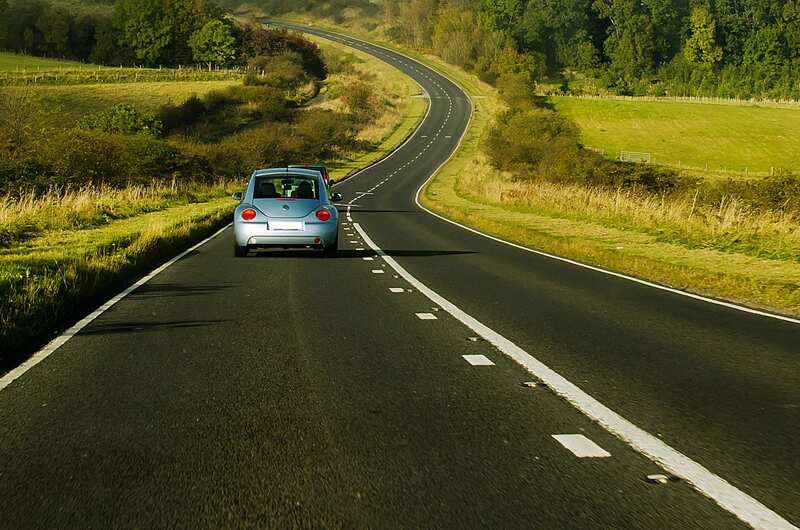 If you are travelling on a single-lane road, then you need to allow double the distance because the danger could be a vehicle that’s coming towards you that also needs to stop. If you can’t see far enough ahead, you simply reduce your speed until you can. Driving blindly around a blind corner could end up spelling disaster if you can’t react in time. This also applies when following a large vehicle like a lorry. Tailgating a lorry means you can’t see far enough ahead. Drop back a little and you’ll be able to see up the road. What influences how far ahead you can see? ‹ What is a defensive driving course?